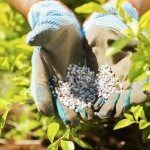 Fertilizing is a necessary aspect of gardening. Often, plants can’t get all the nutrients they need from garden soil alone, so they need a boost from extra soil amendments. But that doesn’t mean that lots of fertilizer is always a good thing. There are all kinds of fertilizers, and there are some plants and growth stages that actually suffer from the application of fertilizer. So what about seedlings? Keep reading to learn the rules of fertilizing young plants. 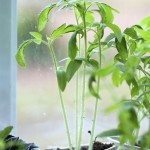 Do seedlings need fertilizer? The short answer is yes. While seeds have enough power inside themselves to germinate, the nutrients essential to healthy growth aren’t usually present in soil. In fact, the problems that small seedlings suffer from can often be traced back to a lack of nutrients. As with most anything, though, too much fertilizer can hurt just as much as not enough. Make sure when feeding seedlings not to give too much, and don’t let granular fertilizer come directly into contact with the plant, or your seedlings will get burnt. Nitrogen and phosphorus are two very important nutrients when fertilizing seedlings. This can be found in most common fertilizers that are designed to promote plant growth. Don’t fertilize your seeds before they’ve sprouted (Some commercial farmers use a starter fertilizer for this, but you don’t need to). Once your seedlings have emerged, water them with a common water-soluble fertilizer at ¼ regular strength. Repeat this once every week or so, gradually increasing the concentration of the fertilizer as the seedlings grow more true leaves. Water all other times with plain water. If the seedlings start to become spindly or leggy and you’re sure they’re getting enough light, too much fertilizer may be to blame. Either reduce the concentration of your solution or skip a week or two of applications.